…or America’s Culture of African American Childhood Abuse, Emotional Neglect/Abandonment & Maltreatment evolving from America’s long-standing, ignorant Culture of Racism? 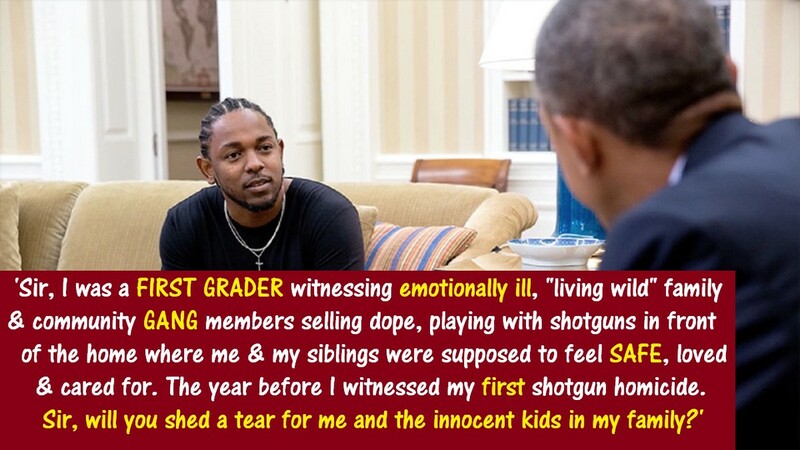 I am referring to a Culture of Child Abuse, Emotional Neglect and Maltreatment responsible for popular American Urban storytellers the late Tupac Shakur and White House guest Kendrick Lamar vividly describing the “m.A.A.d. City” and “T.H.U.G. L.I.F.E. Child Abusing Cultures that through no fault of their own, deprived these American men, their childhood friends, as well as many of their elementary and JHS classmates from experiencing a SAFE, fairly or wonderfully happy American kid childhood. Sadly the Criminal Child Abuse and Emotional Abandonment each of these men speaks about experiencing during a critical period of human/childhood development resulted with them maturing into teens and adults revealing in public they’ve been experiencing acute depression as well as Suicidal Thoughts for most of their lives. Sadly, Ms. Azealia Banks is a victim of a DISEASE known as, Childhood Trauma, that resulted with her maturing into a depressed, EMOTIONALLY DISTURBED teen and adult. Sadly Ms. Banks is much like nationally popular American recording artists and victims of Childhood Trauma Kendrick Lamar and the late Tupac Shakur. Both men are emotionally disturbed Americans who REPEATEDLY mention in their music, or speak about during interviews, the UNJUST HUMAN OPPRESSION that deprived them and countless American children from experiencing a fairly or wonderfully happy American kid childhood with SAFE STREETS to travel and play on. “The Hate U Give Little Infants Fvcks Everyone”. 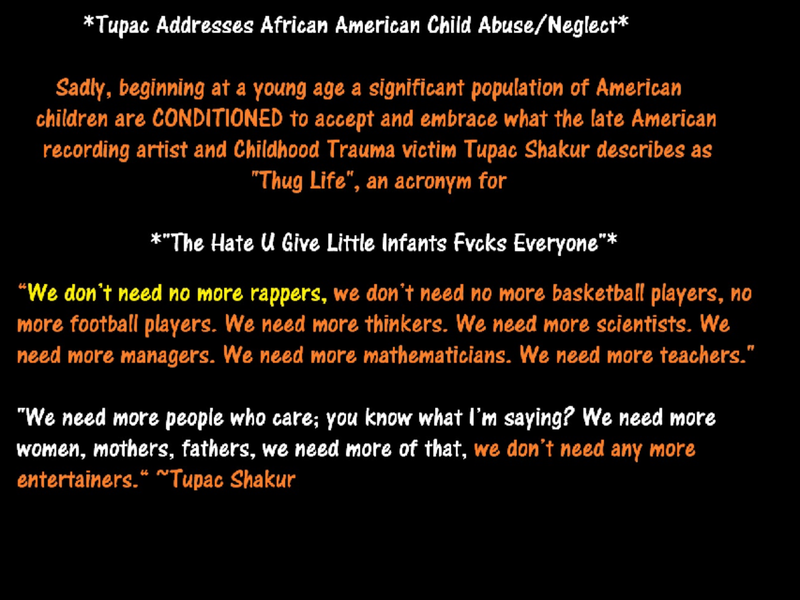 Tupac was well aware that not only are American kids being OPPRESSED and DEPRIVED from experiencing their full human potential, Tupac realized OUR NATION is being deprived of enjoying the potential achievements offered to ALL Americans by reasonably well adjusted kids maturing into responsible teens and adults who care about the future of OUR Nation.